Nicola is a Research Fellow based at the Sustainability Research Institute. He has a PhD in Environmental Sustainability and 10 years’ experience in mixed-method, multi-level environmental research across dryland sub-Saharan Africa and Latin America. His core competencies include participatory livelihood impact assessments focused on agro-ecosystems, policy and stakeholder analysis and advice, and research project design, coordination and implementation. 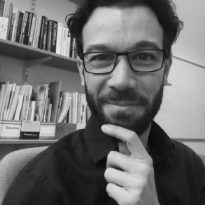 Throughout his work focused on addressing complex international development challenges and bridging major science-policy gaps, Nicola has undertaken research and managerial roles across a range of international organisations (i.e. United Nations University, United Nations Development Programme, European Commission). In his work as Environmental Economist and Project Coordinator at the United Nations University, Nicola led the development, coordination and implementation of a range of capacity-building activities, including Massive Open Online Courses on environmental sustainability (listed below) with thousands of registered participants. Nicola also organised and moderated various high-level science-policy events and published a number of policy-focused reports and briefs. ● 2016-ongoing. Exploring co-benefits and trade-offs in climate mitigation, adaptation and development in South Africa and Madagascar. Funded by the ESRC Centre for Climate Change Economics and Policy (CCCEP). Involves designing and executing mixed-method, participatory and policy research, to promote more inclusive climate and development policy and projects across the Southern Africa Development Community. ● 2016-17. MOOC “Connecting economy & ecology through integrated landscape management. How to design sustainable business models?” under the European Network for the Advancement of Business & Landscape Education (ENABLE) project funded by the Erasmus +. Nicola co-led the overall curriculum development and delivered the content of the ‘Economics of land degradation’ module, including script writing, video lecture recording and expert interviewing. ● 2015. Economics of Land Degradation Initiative MOOC “Options and pathways for action: Stakeholder Engagement”: Nicola contributed to curriculum development, delivery, and assignment grading. Co-drafted a practitioners guide for stakeholder engagement published by the ELD. ● 2014-15. Sustainable Liquid Biofuels from Biomass Biorefining (SUNLIBB), funded by the European Union’s Seventh Framework Programme (FP7): conducting research investigating the manner in which the EU-Brazil strategic partnership on the environment could advance cooperation in the biofuel sector between the two parties and in the development of Brazil-Africa relations through ‘ethanol diplomacy’. ● 2014-15. Economics of Land Degradation (ELD) initiative, Botswana case study (http://see.leeds.ac.uk/research/sri/eld/): through the use of Multi-Criteria Decision Analysis, designed and carried out an economic valuation of Ecosystem Services in Botswana, with a view to advance knowledge on the costs, benefits and trade-offs of sustainable land management in southern Africa’s rangeland. Organised a dissemination policy workshop in Botswana. Research Ph.D.　in “Environmental Sustainability”, Faculty of Environment, University of Leeds, UK. First-Class Honours MSc　in “International Economic Integration”, Faculty of Economics and Political Sciences, University of Pavia, Italy. First-Class Honours BSc　in “Economics and Social Sciences”, Faculty of Economics and Political Sciences, University of Milano-Bicocca, Italy. Energising development with Jatropha curcas? Policy and institutional frameworks in the promotion of sustainable biofuels in Mali.